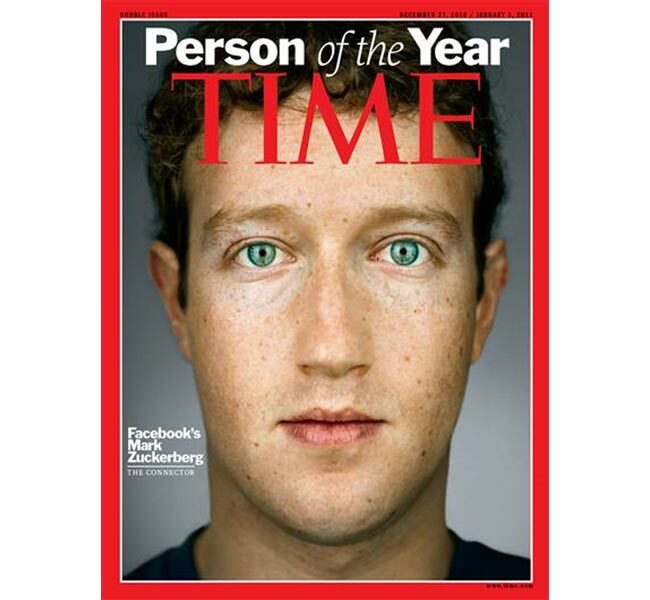 It’s been a while now since geeks have made the sudden and rapid evolution from social outcasts to trendsetters. They’re amongst the coolest people out there at the moment, causing sales of large, geek-style glasses to increase and kids to explore their ‘nerdy’ sides in hopes of being the next Mark Zuckerberg or Bill Gates. But it’s not just geeks that have all of a sudden become it. Engaged fans have become cool, too. Fan participation has become cool. What used to be seen as the behavior of a confused* minority group that may or may not have lost touch with reality* – this same behavior all of a sudden has become hip. 1. 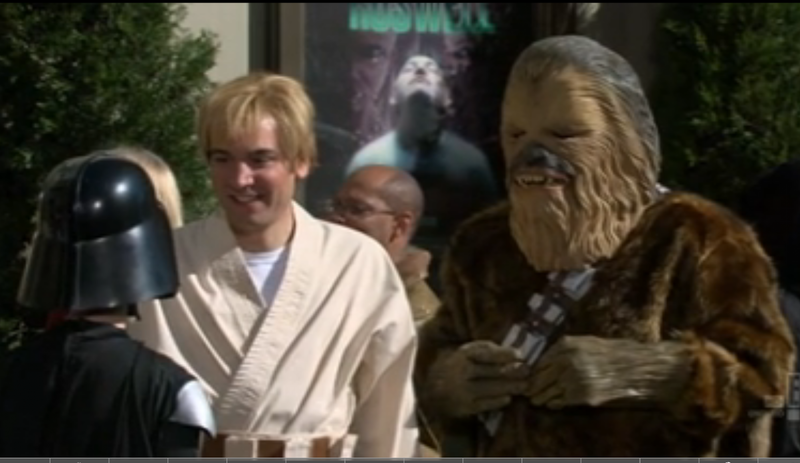 Three out of five protagonists of How I Met Your Mother are seen at a Star Wars convention at least once – in addition to countless die-hard Star Wars references between Ted, Marshall, and Barney (to the extent that they consider ANY woman unsuitable to marry Ted if she doesn’t love Star Wars as much as he does, and Barney gets into countless fights with Robin and Lily over the life-sized Stormtrooper he has in his living room). 2. 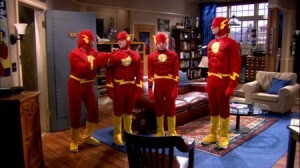 Similarly, The Big Bang Theory is full of references to Star Trek and Star Wars, as well as to various comics such as the Marvel series (their collector’s editions are all over the walls in Sheldon’s bedroom, for example), and the show includes scenes at fan conventions or the entire gang dressing up in matching fan outfits. 3. And even the cases of Harry Potter and Twilight, where both book signings and film premieres consistently prompt thousands of fans to show up in full-on costumes, often camping outside venues several nights before the events to get the best spot in the queue or in front of the stage. And rather than being ridiculed, the news media join into the craze, counting down the hours until a new release with the fans and joining into the debate of whether Harry Potter is a craze or a classic. What’s important here is not the fact that all of these fans exist on television, but the way they are being portrayed in the media. Yes, devoted fans have always existed, and so have fan crazes like the ones surrounding Twilight and Harry Potter. What’s new, however, is that devoted fans are no longer framed as a crazed minority, some weirdoes who are trying to escape from reality. They are portrayed as cool, sometimes funny, but increasingly normal. But where does all of this come from? How did participatory fans all of a sudden make it into some of the most successful TV shows? One reason could be that TV producers have discovered the continuous source of revenue participatory fans can provide. Unlike ‘everyday’ fans that only follow a film or television series for some time before turning to something else, engaged fans stay with their chosen show(s) and film(s) over years, if not decades and even their life. Maybe studio bosses and producers have come to realize that this devotion means additional income from media content that is long past its original airing and its zenith, and so they may now try to engage participatory fandom by showing it on-screen in the first place and in a positive manner at that. Or maybe it’s all for fun and ridicule. Both How I Met Your Mother and The Big Bang Theory feature relatively geeky main characters, and their devotion to fandoms like Star Trek, Star Wars, and Marvel Comics is often the cause for humor and comedy. However, the positive and amiable depiction of these characters’ fan dedication suggests otherwise. Fan references and fan commitments may be comedic at times, but they always also highlight the importance of a fandom in a characters’ life, and what’s more, the way his/her fandom bonds a protagonist to his/her friends and significant others. Which leads me to my third possible reason: Maybe the general public has begun to accept and respect participatory fans. Maybe they have seen engaged fans’ continued and lasting commitment to their fandoms, have realized that they are not just following some form of extreme craze, and that they actually (surprise, surprise!) get a lot more out of their fan objects than mere escapism. And maybe they started to think that in a time where we are trying to let anyone live in a way that makes them happy, regardless of social backgrounds, sexual orientation, and religious affiliation, for example, participatory fans could be allowed just the same – without being derided or made fun of, but with being accepted and respected. As a hopeless optimist and idealist, I’d like to think that it is mainly reason three – increased general tolerance and respect. If this is not the case, then I’m still ok with any of the other reasons, as long as participatory fans continue to get their screen time, and do so in a good light. *I’m not exaggerating here. These words actually came up in conversations with countless non-participatory fans throughout the last ten years of my life. This entry was posted by cweitbrecht on Wednesday, March 30th, 2011 at 9:37 am and is filed under Uncategorized. You can follow any responses to this entry through the RSS 2.0 feed. Both comments and pings are currently closed.